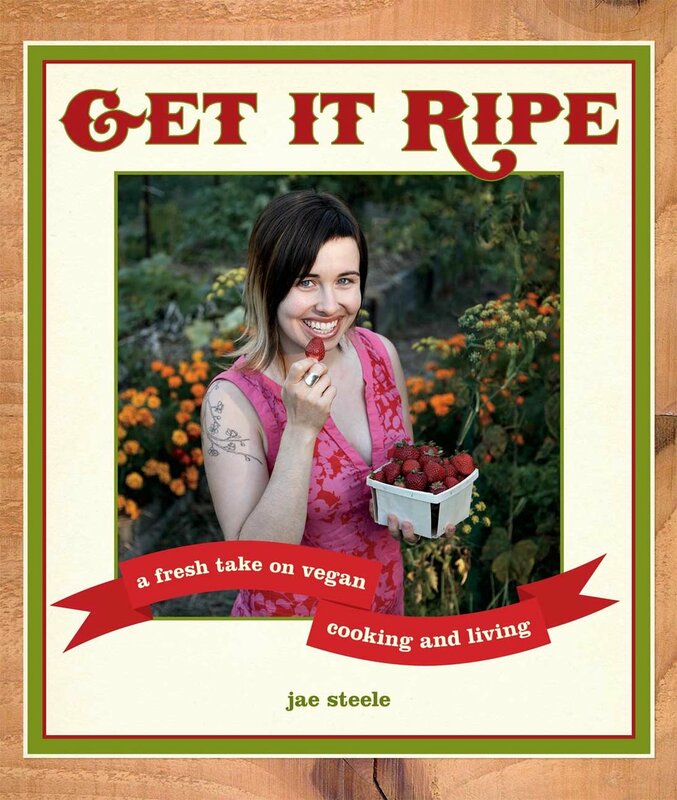 Get It Ripe is a vegan cookbook for the 21st century, with an emphasis on holistic living and whole food (i.e. unprocessed and unrefined) ingredients. Jae Steele is a registered holistic nutritionist; she has also been a professional vegan baker, and worked on organic farms on both the east and west coasts of Canada. Her life experiences, and her love of vegan whole foods, are at the heart of Get It Ripe, which not only features uncomplicated yet delicious animal-free recipes, but advice and information on various aspects of holistic vegan living, including special diets (all recipes are wheat-free), simple steps for cleansing and detoxing, baking delicious cakes free of eggs and dairy, information on ethical consumerism, and the connections among mind, body, and spirit. Jae’s second cookbook underscores the importance of local, sustainable eating and living by helping readers deepen their understanding of organic and local foods, and their positive impact on our health and our planet. The book includes chapters on the concept of local food and why it's important; finding a balance between various food issues and personal priorities and values; and the benefits of the local food movement that go beyond reducing the carbon footprint on our plates. It also helps readers become more informed about where their food comes from no matter where they live, whether their source is the farmers' market or the grocery store down the street. Sign up here for regular news, special offers and download our colourful 24 Feel-Good Things to do when you’ve just had a Baby poster. Click to download your free “24 feel-good things to do when you’ve just had a baby” poster!